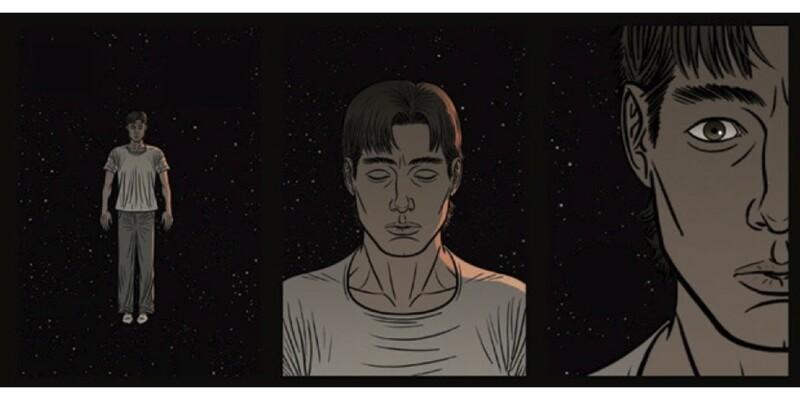 In WHISPERS, a chilling graphic novel by Joshua Luna (ULTRA, GIRLS, THE SWORD) due out in June, Sam is a young man struggling with anxiety and obsessive compulsive disorder when he suddenly gains the ability to leave his body in “ghost” form and travel, free from his body, unseen. As he travels, Sam finds he can manipulate people, nudging them to perform acts, as well as hear their thoughts. Unable to control this power, Sam’s actions lead to uncontrollable consequences, and soon he finds himself witnessing horrific acts. Can he right what has gone wrong in his life? Or will he lose himself in a shadow world of demonic forces? “We are so accustomed to the filter that exists between a person's true thoughts and feelings and what they actually express out loud that we often don't know what it's like to get the raw truth,” said Luna, who both wrote and drew WHISPERS. “But what if someone could override that filter? What if someone could peek into your mind and know your deepest fears and desires and use that knowledge to influence or even manipulate you? Whispers is about the headspace that we all try to protect from the outside world and how the awareness of its vulnerability can lead to empowerment or destruction." WHISPERS is an intense supernatural thriller, sure to captivate fans of television shows like the BBC’s and Syfy’s Being Human and dark fiction like Joe Hart’s The Waiting. It will be in comic book stores on June 11 and in bookstores on June 24.